I recently applied for a grant for cloth diapers available to missionary families… and just found out that we received it! We are receiving a package of 15 all-in-one cloth diapers by BumGenius, as well as inserts/liners, cloth wipes, cleaner, and two wet-bags. 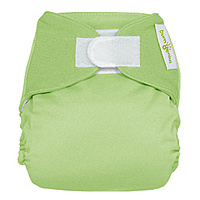 In Australia the 15 diapers alone would cost us $570 (at $38 each if you can believe it!) and that’s not even including all the extra liners and other stuff they are giving us. In total we’re probably looking at around $700 AUD worth of cloth diapers and diapering accessories. We are so, so blessed by this. I’ve thought for a long time that I wanted to switch to cloth diapers when Levi was around six months old. I figured I needed some time to just get used to the daily life of having a baby without adding the extra laundry and care of cloth diapers… and so six months was my goal. And what do you know? The package should arrive to our doorstep about a week or two before Levi’s half-birthday! 1) This just feels a bit more responsible since it means we’re not contributing to the landfills with more disposables that take 500 years to decompose.